After removing the layers of hard outer stem of banana tree, the tender fibrous inner pith of the stem or core has many medicinal properties and is very beneficial to our health. It is edible as well. The stem is chopped and cooked as a vegetable and is eaten along with rice. 3/4 cup chopped plantain stem/thor, 1/3 cup scrapped coconut, 5 to 6 curry leaves, 1 chopped green chili, 1 pinch turmeric and sugar, salt to taste, 1 teaspoon kalonji and mustard seeds, 1 dried whole red chili, 2 teaspoon cooking oil. Put the chopped plantain stem or thor, scrapped coconut, chopped curry leaves and green chili, salt, turmeric and sugar in a bowl, mix well and keep covered for 10 minutes. In a pan heat the oil and add tempering of broken red chili, mustard seeds, and kalonji. Add seasoned plantain and cover with a lid promptly to let the flavor of spices burst in the vegetable. Cook the vegetable with the lid on, sit on simmer fire for 8 to 10 minutes or until done. The utilization of hemp fibers of the banana stem has started almost since 4000-3000 B.C. Kola is in the Bengali vernacular used for the fruit Musa paradisiaca. Fruits are offered in puja and the stems used for ceremonial decoration. Worship of The goddess of wealth, Lakshmi which is observed during the months of October or November comprises of some meaningful symbolic decorations like boats made out of hollowed-out portions of the stem of the sacred plants Banana or Plantain and is then decorated with colored papers and flowers. It is then filled with crops like paddy consisting of certain pulses, bananas and sugar candies are placed in the boat to invoke the blessing of the Goddess Lakshmi as Goddess Lakshmi has reached our home to bless us with her wealth drawing in every household since the time of the history of traditional navigation, the voyages of Bengal traders for safe returning along with wealth from Ceylon or java after having a season of good business. Evidence from historical notes suggests that traditional navigation forwarded social and religious festivals, which was also carried out as a seasonal phenomenon. You might also be interested in our Sour legume with mango buds recipe. Monsoon wind plays a predominant role in maritime trade and the daily life of the people of Southeast Asia. During the northeast monsoon which brought about the onset of "the trade wind", they used to set out for the voyage with plans of returning during the southwest monsoon as they identified the flow of wind and current was favorable for both the onward and return journey. As the southwest monsoon intensifies, the coastal currents are once again directed northward along the east coast of India and a strong eastward-flowing monsoon current is intensified in the southern Bay of Bengal July-October, the Bengal and Orissa traders sailed their vessels using the monsoon wind in the Indian Ocean in such a manner that they could reach overseas countries. As the southwest monsoon withdraws from the Bay of Bengal, coastal currents along the east coast of India swiftly reverse equator ward from October and persist up to October-December. Seafarers of Bengal and Orissa had a fair amount of knowledge about monsoons. 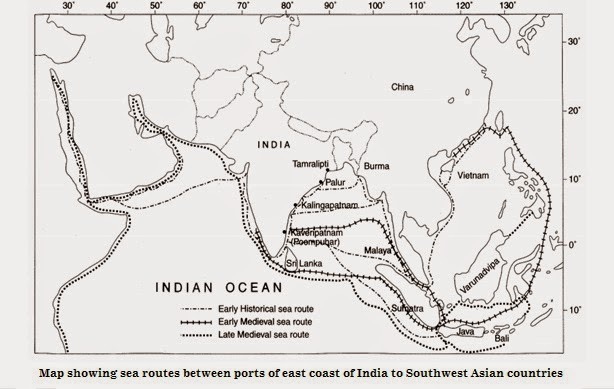 These trading voyages during the northeast monsoon can be corroborated with regional festivals like Asvin Purnima in the month of October, Kojagari Lakshmi puja and Kartika Purnima [full moon day of Kartika] in the month of November and seasonal harvest also symbolized return of the voyagers with wealth and gifts. 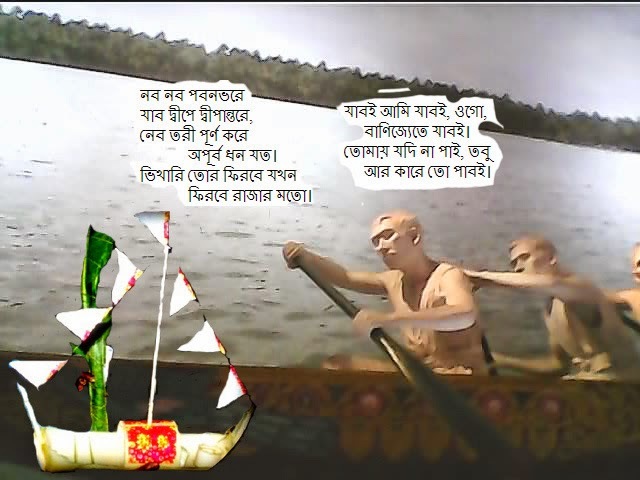 The festivals were used to be celebrated by the people of Bengal and Orissa since time immemorial and was held on the day of the commencement of sea voyages in the belief and hope that the traders would return with healthy trades and a good harvest. Similarly Khudurukuni Osha is celebrated in the month of September by unmarried girls of Orissa who used to wait for their brothers with wealth. The festival anticipates the return of a safe journey. Plants absorb minerals from the soil, and when incinerated their ashes give imortant products like Yavakshara or Darulawana [ Eng – Impure potash carbonate]. Succulent plants contain a larger proportion of it than their woody counterparts. The existence of Impure potassium carbonate has been known from very ancient times. It is the principal source in India as wood ashes because potash is an indispensable element for the growth of most plants. Kolakhar , locally known as Athia Kal, is prepared by filtering water through the ashes of a banana tree, which is rinsed once or twice with water to obtain paste daily, a signature dish of Assam, India, has been analyzed for its commercial importance. Traditional use of herbal medicines by Madahi tribe of Nalbari district of Assam like "Omita Khar" is one major Assamese cuisine. Chemical and spectroscopic investigations shows the presence of potassium, sodium, chloride and carbonate, Bromide, iodide, and that carbonate and chloride are the major constituents present in Kolakhar along with a host of other trace elements, sulfate were found to be absent. The analysis has been able to corroborate to the traditionally known superior quality of Kolakhar derived from Musa balbisiana colla, in Bengali Biche Kola. It is similar to most of the people in Assam without much knowledge of its chemistry. Kolakhar is known to help in normalizing digestive disorder of stomach. In ancient Assam, Kolakhar was widely used as soaps and detergents for washing cloths and shampooing hairs. Recently, use of Kolakhar as a cleaning agent has been drastically reduced, yet in interior rural Assam its use for washing purposes still continues. Some women in rural Assam have been able to grow long and healthy hair using Kolakhar alone. There are many other uses of Kolakhar in the rural Assam including preventing bacterial attack on freshly cut injuries, making healing faster, to kill leeches and prevent their attack while working in leech-infected agricultural fields and for cure and prevention of certain cattle diseases. It is said that in Vedic days monks, rishies used to perform sacrifice [Yajna] in the month of Magha and Falgun, and also to get rid of severe unfulfilled desires. They throw potato, brinjal, cabbage, tomato, banana and other vegetables to the fire. At the end after the heap sounding hymns and offering prasad accompanied with people moving around the bonfire for 7 times and then lights the bonfire. Men and women move around the lighted bonfire with pleasure by collectively sounding God's name they throw potato, brinjal, cabbage, tomato, banana and other vegetables to the fire. At the end after the full ignition, the pandit pacifies the fire by sprinkling sacred 'Panchamtrit' which is prepared by mixture of milk, curd, ghee, honey and sugar. People search out the burnt vegetables from the ashes and collect it as 'prasad' of the fire god. They take a portion of ash to their house and besmear on their forehead with holiness, and on the next day this ash is sprinkled in the crop field for better harvest. Now we can clearly understand the scientific reasons behind these communal customs and rituals. Banana peel ash-extract, widely used by the rural folk in indigenous processing of dry or hard-to-cook beans, was evaluated for chemical composition and potential in reducing cooking time of beans by nearly 50%. The peel ash-extract was found to contain substantial amounts of sodium [0.36 g/ml], chloride [0.07 g/ml] and magnesium [0.04g/ml] ions. Calcium, iron, copper, zinc, sodium and phosphorus were also found in detectable amounts. The taste, flavor and acceptance scores were, in general, higher in beans processed in ash-extract than that of ordinary water. Traditionally, banana trunk, rhizome and peels are most commonly used for the preparation of Kolakhar amongst the different species of banana plants musa balbisiana, the seedy variety of banana plant is considered the best as far quality of Kolakhar is concerned. In the usual practices, Kolakhar is mostly prepared in the winter season and stored for use in the rest part of the year. Parts of the plant is cut into pieces and air dried under sun over several weeks. The dry material is burnt into ashes and filtered with water. In the normal procedure of extraction, ashes are put over a bamboo-made sieve and water is added over it and allowed to trickle down the ashes. The filtrate collected below is called Kolakhar . The ashes were extracted with distilled water. Weighed quantity of ash was suspended in distilled water [20 ml per gm] in a glass beaker and stirred with a mechanical stirrer for 45 min. The mixture was then filtered through sintered glass crucible under suction and the filtrate was used as Kolakhar . Kolakhar prepared from banana peels traditionally considered to be the best, is found to contain much higher amount of carbonate as compared to other. Lead level is much lower in Kolakhar derived from seedy variety of banana plant Musa balbisiana as compared to those from seedless varieties. This may be one of the reasons why our ancestors considered Kolakhar prepared from seedy variety better than those from seedless varieties. Aluminium level is much higher in seedy variety as compared to those from seedless varieties. 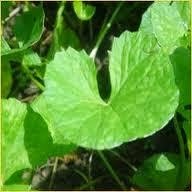 This may be the added advantage of Kolakhar from seedy variety for its use as antacid. Vanadium is believed to play a beneficial role in the prevention of heart diseases. Because of the presence of vanadium in Kolakhar its use may be beneficial for the prevention of heart diseases. Analysis of Kolakhar shows that potassium carbonate is present in significant quantity. There is practically no source of potassium carbonate in nature except very minor sources in a few African lakes as well as in Dead sea. Therefore a renewable and ready source of potassium carbonate is highly desirable. Kolakhar with as high as 233 g of potassium and 161 g of carbonate per kg of ash is certainly an alternative, cheap and renewable source of potassium carbonate. After harvesting fruits banana plants are presently of no use and simply thrown away. The ash of banana plant can directly be used as a potassium-type fertilizer for agricultural purpose in acidic soil. Kolakhar , a traditionally known antacid and popular food additive amongst different communities in Assam, is quite rich in potassium carbonate and therefore can be commercially exploited as a cheap and renewable natural source of potassium carbonate. Because of the presence of vanadium, Kolakhar can have beneficial effect for heart patients.